On Wednesday, April 29, I had the honor of representing our We Count, California! team at two historic events in Washington, DC—a Senate hearing and a White House briefing—both focused on the Administration’s goal of ending youth homelessness by 2020. Across the board, I heard a clear message that youth counts matter. This day of unprecedented attention to the need to end youth homelessness was inspiring but came with a sober recognition that we have a good way to go to meet our goal. The importance of better data regarding youth—upon which an adequate plan is to be built—was a recurring theme throughout the day. From Senator Dianne Feinstein's remarks to statements by Jennifer Ho of HUD and USICH Executive Director Matthew Doherty, there was a consistent recognition during both events that current counts underestimate the actual scope of youth homelessness. “We know that our count of youth is low and we expect it to go up” added Jennifer Ho, Senior Advisor to Secretary Castro of HUD. Last week I shared my key takeaways from both the hearing and the White House briefing with the Continuum of Care Organizations (CoC’s) in California, so that they are aware of how it translates to their work at a local level. HUD wants your data on youth experiencing homelessness! HUD will be encouraging communities to conduct youth-specific counts, holding up the Youth Count! Communities as examples. These models include separate youth counts and multiple day counts with youth (report available online here). HUD is keenly aware of efforts nationwide to increase youth inclusion in the counts and is eager to see the results of these efforts. As per the quote and testimony above, HUD anticipates youth numbers may go up, and knows that this may be reflected in increased numbers overall. This is a critical time for CoCs, McKinney Vento Liaisons, and Runaway and Homeless Youth (RHY) providers to be working together for youth inclusion in the count, in programs, and on a local plan to end youth homelessness. As per the testimony submitted by HUD for the hearing, the upcoming NOFA scoring will reflect these new priorities. If you would like to join our We Count, California! Google Group, you can do so at tinyurl.com/WeCountCA. Together, we can produce a stronger, data-driven picture of youth homelessness in the United States. 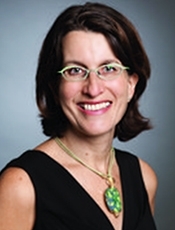 Coco Auerswald, MD, MS, is an Associate Professor in the School of Public Health at the UC, Berkeley. where she is Director of the MS program for the UCB-UCSF Joint Medical Program. She is the co-Principal Investigator for the We Count, California! Project, a project to improve youth inclusion in the point-in-time count in California through statewide technical assistance.